My boys love popcorn. 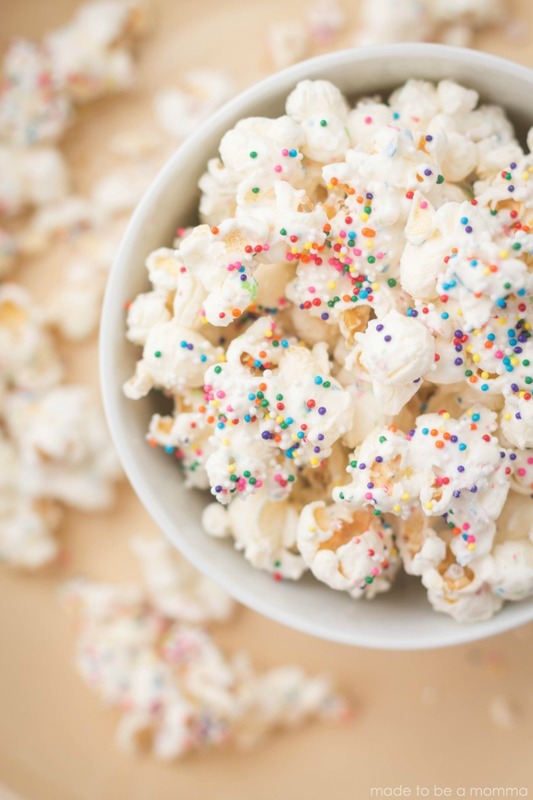 It’s one of their favorite snacks and I have been a popcorn lover since I was a little girl as well! 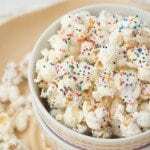 My pumpkin spice caramel popcorn is one of my favorites but this white chocolate popcorn topped with sprinkles is just as delicious. It’s great for kids parties, summer time, and even bridal showers! The sprinkles add such a fun touch to this treat and seems to instantly attract the little kids! 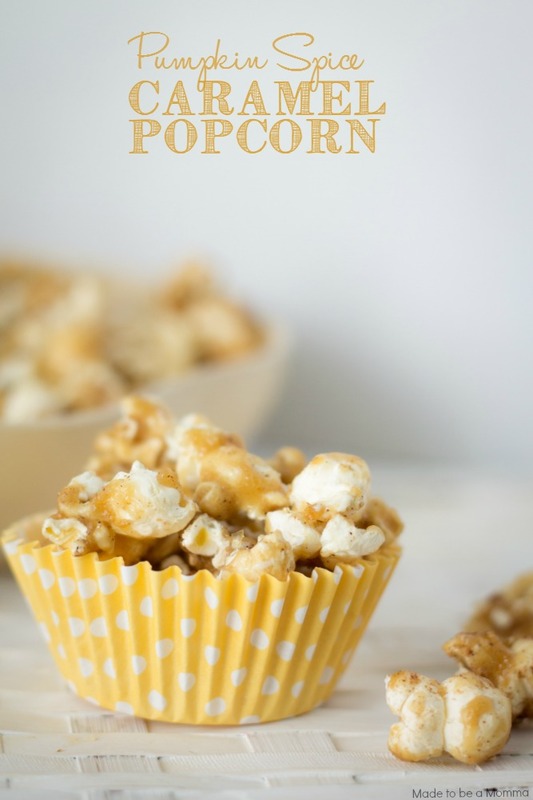 A delicious popcorn treat that uses only 3 ingredients! Place your popped popcorn in a large bowl. Melt candy melts according to package or in the microwave at 30 second increments. 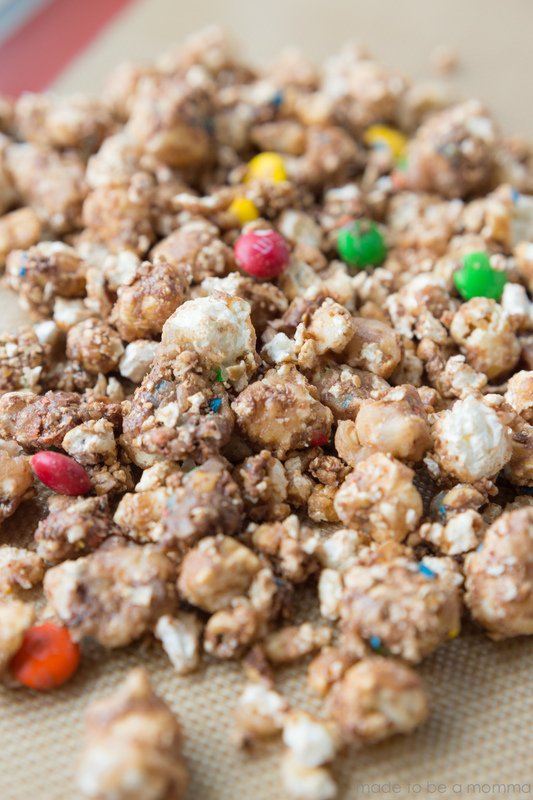 Pour melted chocolate on top of popcorn and stir until popcorn is covered. Place popcorn on a baking sheet covered with either parchment paper or a silpat liner. Add the sprinkles and allow chocolate to harden. Store in an air tight container or ziplock bag. For more delicious popcorn recipes check out this fall favorite…..pumpkin spice caramel popcorn and our Fudgy Peanut Butter Popcorn Crunch. Wondering if I could form them into balls for “snowballs” for my daughter’s Frozen bday party coming up this weekend? If I do it while still warm, will they hold their shape? Thanks for any insight. Then I preheated the oven to 350°F. Once it reached the temperature, I turned the oven off. I placed the popcorn evenly on a tin foil tray and left it in the heated oven for 8 minutes. Voila, perfectly delectable popcorn. I’m looking to make this for my daughters birthday. Will white chocolate chips just as well as candy melts? Or are candy melt preferred? This popcorn is adorable and will be a great addition to my baby shower. What kind of popcorn do you recommend using? Microwave? Plain? Butter? Can’t wait to try it. I have never made it but have bought some and the kind that ive bought tasted like puff corn made by cheetos. They make it in butter and cheese. I think the butter would work and it has no kurnels.